Yes guys, we're back ! For our first release after our hiatus, we decided to necromantically resurrect two hidden gems of the underground scene and forge them together, wrapped by a new, fantastic artwork by Lee Davis (https://www.facebook.com/leedaviscreations) ! 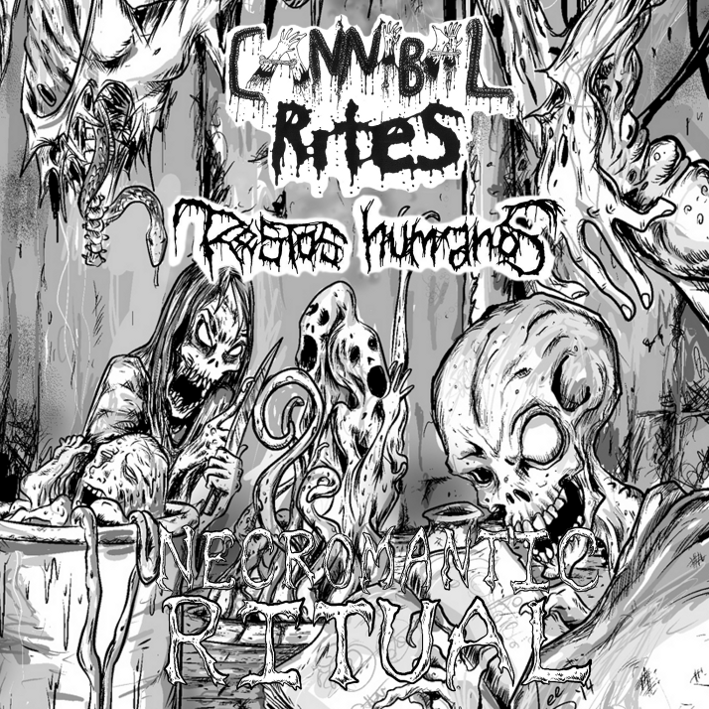 The first 5 tracks comes from Cannibal Rites (US) demo: putrid, slimy Death Metal deeply influenced by early Death, Autopsy, Bolt Thrower, Obituary and Massacre. Be ready to be cannibalized ! 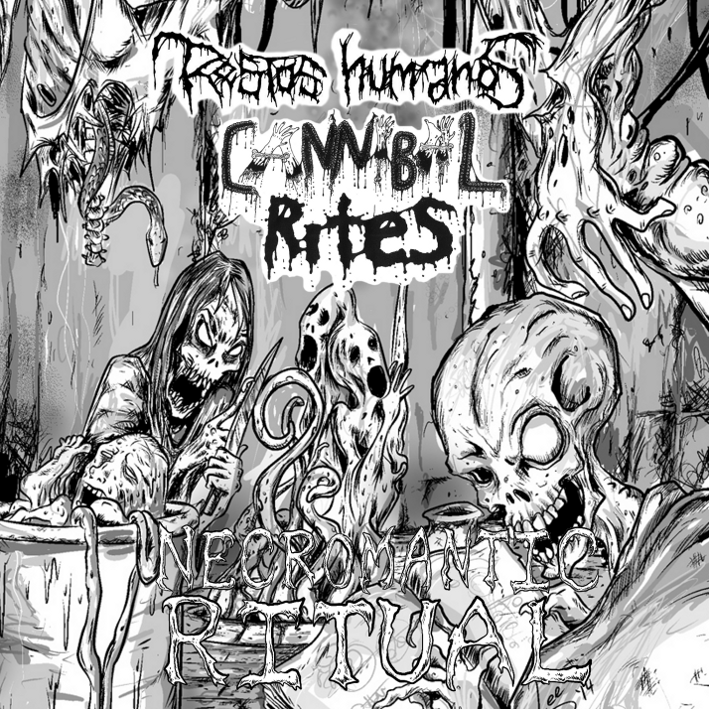 Then, 5 more tracks from Restos Humanos (ITA) demo: 5 sonic grenades in the vein of Machetazo, Impetigo and Death Breath that will smash your head to a pulp ! The first 33 copies comes in a very special package (pro-printed cover in DVD format with full artword and black CDR) and will be sold (no trades) exclusively by Eyes of the Dead prods. and the bands.